Religious cult leaders… psychopaths, CEO’s of Fortune 500 companies… psychopaths, serial killers… psychopaths, heads of state… psychopaths, Mr. Johnson from across the street… more than likely a psychopath. What this book imparts to the reader is not to concern one’s self with the obvious, but be aware of the disease that walks among us. With this resource at your fingertips you will have a better ability to identify the kook next door and make you sing a different tune the next time you see a sharp dressed man. Mr. Ronson dives head first into the type of environments that more than likely frighten the public majority. The type of settings that leave us quaking in our boots in fear of being seduced into an early grave because of our compliant and humane manner. 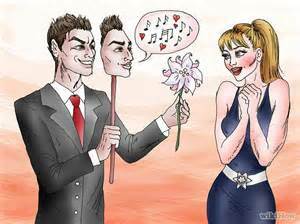 They are often found preying on the ignorance, the approval, and the naivety that afflicts us all. Fully aware of the intentions from their obedient counterparts and the words to ensnare trust. Mr. Ronson goes about his business with a childlike curiosity under the fear and presumption that he has more in common with these figures then he would like to believe. His journalistic integrity and preceded reputation are well in tact as he not only sets his sights on the apparent conflicts, but he also begins to question and expose the hierarchies that regulate the madness industry. From Broadmoor, England the home of the real Hannibal Lecter, to upstate New York, Florida, Shabuta, Mississippi the headquarters of Sunbeam corporation, Milwaukee, and Gothenburg, Sweden; Mr. Jon Ronson provides a variety of stories that discuss the evolution in the diagnosis of mental disorders, the procedural approach to these decisions, and the rationale behind the progressions into modern day psychiatry. Through his endless journey’s, Jon traveled by planes, trains, and automobiles to unearth the root of the albatross that is psychopathic behaviour. While chronicling their complex personalities he is also trying to determine if he is one of them himself, or if his career path has spurred on this behaviour. I can see how some people might be frustrated with the whole premise of the book on how this is simply one man’s personal opinion based on experiences over a short period of time. An impromptu submergence into an industry where he can travel the world asking questions that have been answered before and gathering information that for the most part is out there for all of us to consume. When I read a non-fiction book (which I tend to stay away from) I want to be entertained while also having the opportunity to learn something along the way. With most resources I find the author to deliver their material with a scholastic tone and too much of a cerebral approach. Like they are presenting a dissertation; dry as a bone. 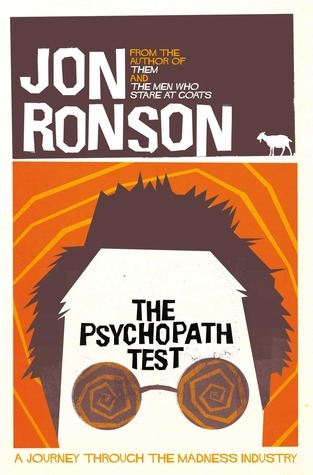 Mr. Ronson takes a rather serious topic in the madness industry and utilizes a journalistic approach in conjunction with a self-deprecating brand of humour (which other than that wasn’t very funny at all), and still made this an enjoyable and entertaining read. He manages to tackle some of the more talked about topics with the Church of Scientology, the reprehensible nature that is reality television, as well as the whole Jack Abbott manipulation of Norman Mailer dynamic. While also talking about some lesser known stories of corporations bottoming out because of CEO’s not being boring enough, a mysterious transvestite ex- MI5 spy, and provocative psychological treatments with some of the world’s most criminally insane. Despite the disappointment that this book wasn’t overtly funny I would recommend this book to anyone interested in the topic and will keep my eye out for any other books by this author in the future.